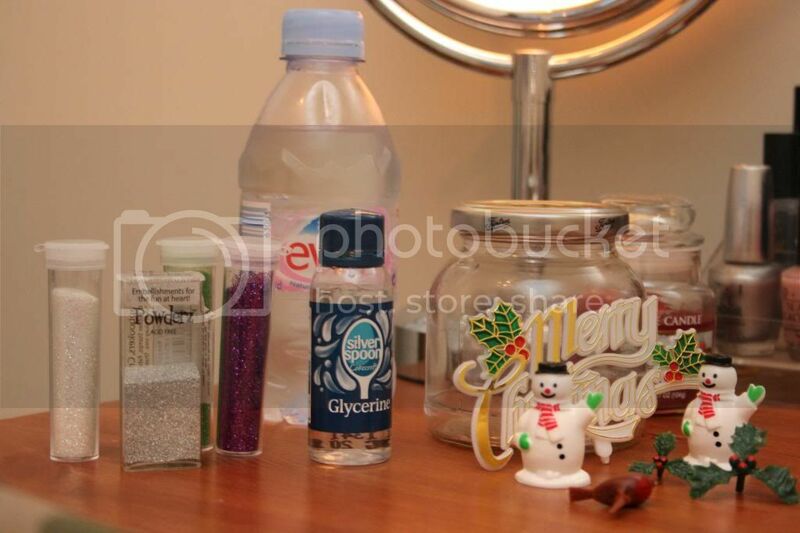 Crafty Christmas #2 - How to make a Snowglobe | S J M W E L L - Fashion, Beauty & Lifestyle blog. 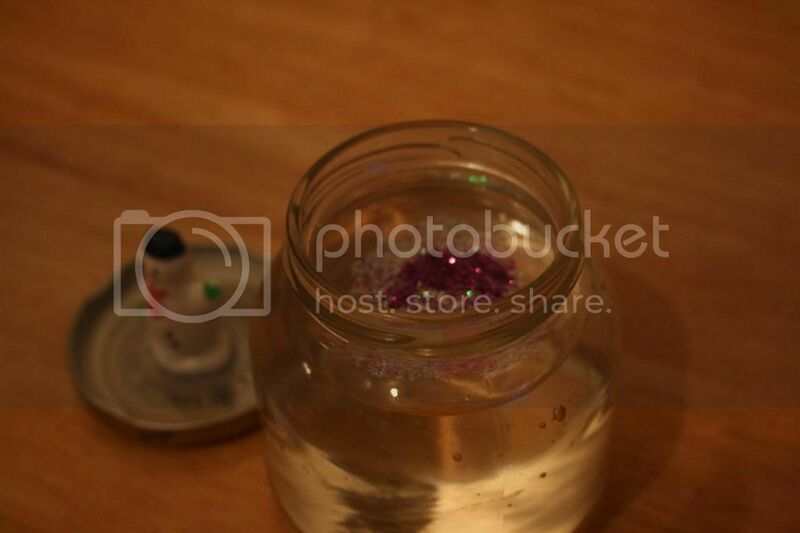 What I used: Old jam jar, Glycerine, Water, Mixture of glitter's, Glue, Christmas inspired decoration's. Crafty Christmas post number 2! I'm loving writing up these post's as being crafty during the festive season is one of my favourite thing's, even more than usual. I think they're all quite simple to do and non time consuming so hopefully everyone can have a go even if you aren't a huge diy fan. Snowglobe's for me are something we always have out for Christmas every year, I love how cute and old school they are and take you straight back to child hood. These are really easy and quick to do so you could even do them with little kid's in the family and keep them as special momentoes. You can use any screw top or bottle you wish, I like the rustic-ness of jam jar's. I used tiny little jam jar's last year (the one's you get in Supermarkets as minitures/try me's) which looked so so cute. The snowman inside was just from a cake shop which I picked up to decorate the Yule Log, you can use anything or even create a little scene inside, I would recommend checking what it look's like before you commit with glue as water enlarges thing's. All you need to do is glue the object you choose on to the lid of the Jam Jar (a strong glue) fill the jar up with water right to the top of the jar if you leave a gap when you turn it upside down it will show up. Pour in your glycerine and give it a stir, I can't really give measurement's because it depend's on how much water you use, be generous! Pour in your glitter, I always put in a little bit of holographic so it catches the light beautifully when shaken and some craft glitter which you can usually pick up for cheap in little stores in the kid's craft aisle. Lastly, screw the lid on very tight and you now have your very own snow globe. You could even decorate the lid with glitter paper or ribbon. Will you have a go at making one yourself? Do you like Snowglobes? Oh how lovely is that???? 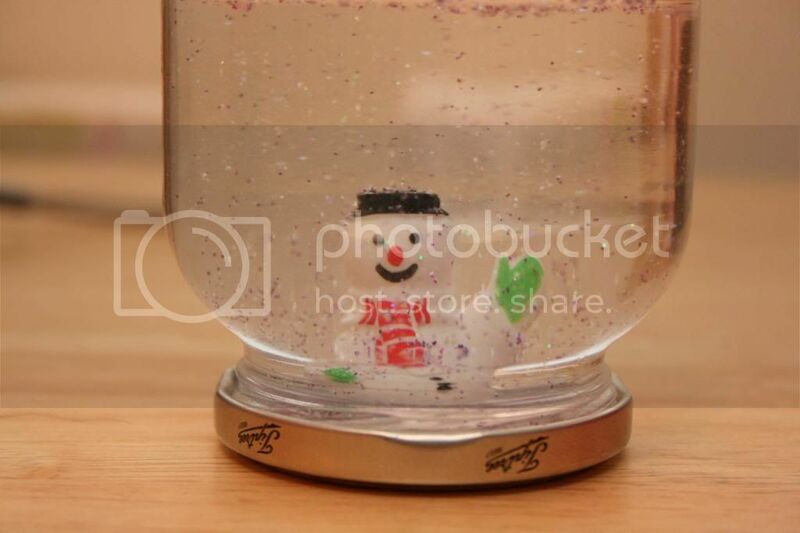 :) Such a great idea to recycle things, which you'll probably draw away:) Lovely "Jack Frosty-Snowglobe"! Hope you'll make such DIY again soon! This is such a simple but exciting idea! What an amazing crafty idea! It's such a great Diy gift, I'll have to give it a try.